But don’t just take our word for it. Scroll down to see our testimonials! Case studies in which we went above and beyond for our clients. Aspire Clients – spread the word and earn a free pay period! Aspire is Transforming How We Look at Business. Excited to Grow with Aspire Software Co.
A brighter future with Aspire Software! – John Puryear, Owner Puryear Farms Inc.
Great Employees, Great Customer Service. Thank you, thank you, thank you for the product you are providing our industry! If used correctly, Aspire is a great tool to help you grow your business. See Aspire in Action at DBL Arizona. Aspire simply runs better and faster than any business management software we’ve tried. 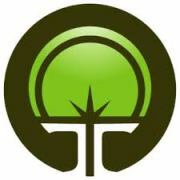 See Aspire in Action at Signature Landscape Oklahoma. I’d tell anyone who asks that Aspire is the best contractor business management system out there. I first heard about Aspire from Mike Rorie. We’d worked with three different operating systems before we came to Aspire, and now, I’d tell anyone who asks that Aspire is the best contractor business management system out there. They take the greatest hits of all of their competitors and put a 2018 technological twist on it with true cloud and mobile capability, crew tracking and real-time inventory/estimating. The beginning was both gratifying and daunting, but once we got all of our properties set up with accurate job hours, our crews’ faith in estimating and accurate information was restored. Aspire’s customer service is top-notch, too – every question we ask is answered completely and with enthusiasm for helping us be better. Whatever they’re doing over there is working very well. See Aspire in Action at Community Green. I just wanted to let you know your customer support is excellent. Especially the ease of submitting tickets to the response time. Megan has been a huge help to us as far as any issue we have. She goes above and beyond our expectations. She is prompt and is great about reminding us about issues we have submitted especially when we are busy during the growing year. Aspire is by far the best landscape software in the industry and we look forward to your growth and what new features you are bringing out. Thank you again for all your help. Keep up the great work. We went live yesterday and we are very pleased so far. We greatly appreciate what you and your staff has done for us. Both Dana and Bryan have been very accommodating. See Aspire in Action at Property Works. We had a good tradition of reporting before we decided to get a business management software, but the information was still very fragmented. Our first attempt at a software provider … didn’t go so well. It was a tough fit and our team was really struggling. After a year of time and investment, we made a difficult decision to go back to our old reporting systems. I was originally introduced to Mark Tipton by Kevin Kehoe at a peer group event in St. Louis. Leeann on our team had also worked with Aspire in the past setting up their QuickBooks integration feature and felt this operating software might be a solid fit for our company. Two years later, we came onboard. Aspire forces us to do a better job planning ahead through the year – managing, tracking, timely turning-in-of work orders and keeping up with our clients. Our guys in the field are in Aspire day-in and day-out. This data is set up into dashboards so I can have key performance indicators for our daily operations at my fingertips – budgeted vs. actual hours, sales pipeline, issues, completed jobs, everything. This is real-time data that you can pull at the end of the day or end of the week or end of the season to better manage the company. We are having a very successful year and I attribute a good part of that to being with Aspire. See Aspire in Action at Heaviland. They were best for our operations process and the required amount of detail needed for our finance management. James Martin & Associates (JMA) has been using Aspire now for approximately two years, and we are very pleased we selected them. Aspire customer support is extremely responsive to our requests, and they did a great job with our implementation. We appreciate the commitment that they have to enhancing and improving the system. The information available to account managers and general managers in Aspire has been very helpful for us to manage our jobs, estimating, and labor and material costs. See Aspire in Action at Martin & Associates. Aspire has improved our business with its usability … it’s increased our productivity greatly. We used to use another software for our business management, but it was too complex and not intuitive to use at all. Aspire provided the ease of use and quick, accurate information access we needed to grow. We can see all aspects of our company in one place, now. Aspire has improved our business with its usability – our account managers can whip up sales opportunities for clients almost instantly. It’s increased our productivity greatly. They were thorough, patient, and set us up for success. We went live just 6 months ago and have already been able to leverage the info we are getting from the system to improve our business. Second, the list/reporting functions within Aspire have allowed us to monitor/analyze things with accurate data and have enabled us to make better decisions in all aspects of the business on a day to day basis. The reports and the ability to access the reports at any time is a priceless feature within the Aspire system. I can’t imagine trying to do what we do without Aspire. See Aspire in Action at LandCare. Aspire has helped us streamline our business processes. Now we have all our information in one area, accessible at any time. First off, and simply said, Aspire is Amazing. I could not even imagine running the company without it. Aspire is it. There’s nothing else like it, nor will there ever be. And I don’t say [things] I don’t mean. See Aspire in Action at Schill. Aspire simply runs better and faster than any business management software we’ve tried – it’s just more user-friendly.